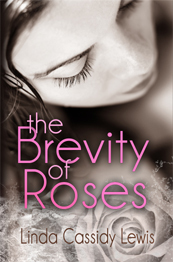 For those of you haven’t heard, there’s a few hours left to get the e-version of Brevity of Roses, by Linda Cassidy Lewis. If you haven’t read Brevity yet, here’s your chance to get it free. If you have read it, PLEASE spread the word about this promotion. I’m excited. Brevity is all dressed up in its beautiful new cover and waiting to be read. I want to see the book rise to the top of the Amazon ranks in its categories. If you tell your family and friends, on Facebook, Twitter, Google+, and anywhere else you can think of about this giveaway, I will be eternally grateful. Am I being melodramatic? Yes, I am. I really need this promotion to work. There are millions of books for sale on Amazon, so even though mine has a 4.6 star rating, it’s virtually INVISIBLE. With this promotion, I can make its existence known to thousands of readers who would love it. And it has worked: It’s currently ranked #4 in contemporary fiction, and number # 17 fiction on the free kindle amazon site! Previous Partials, alphas, and betas, oh my! Hi, don’t really have the facilities to read an entire e-book at present, but hope to take a look at it at some point. I only recently started reading on an the ipad, Lawrence, and I adapted very quickly. You should head on over to Linda’s site. You can see how she went about this promotion, and all that she gained from it. Maybe it’s something you would be interested in with your novel, Secrets, or in the future. it’s one of the great things about blogging – learning from the experience of others. Hope the new novel is well!